Shelby Scates was born in Obion County, Tennessee in 1931. He graduated from the University of Washington in 1954 and served as a First Lieutenant in the U.S. Army between 1954 and 1956. Since 1956, Scates has been a reporter for United Press International, the Associated Press, International News Service, the Seattle Post-Intelligencer, Seattle Argus and the Hearst Newspapers. He has also written three books, Warren G. Magnuson and the Shaping of the 20th Century, War and Politics by Other Means and Maurice Rosenblatt and the Fall of Joseph McCarthy, all published by the University of Washington. He is also the author of Seafirst: A History of the Seattle-First National Bank. 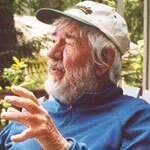 Shelby Scates died in Seattle, Washington on January 3, 2013. He was 81.